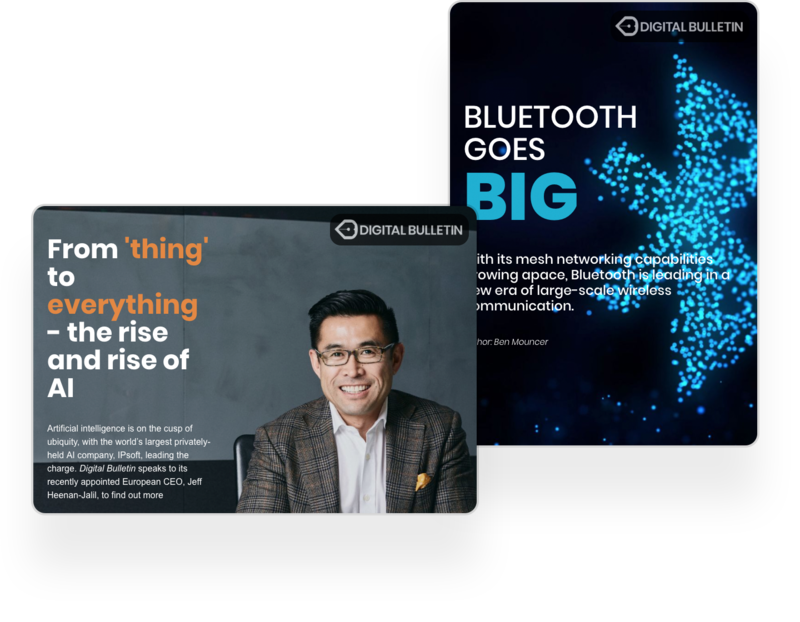 Digital Bulletin offers a wide range of tech and business stories across multiple platforms such as digital and print magazines. Integrating their content management system (CMS) with the Foleon API enables them to offer measurable premium content to their readers and prospects. 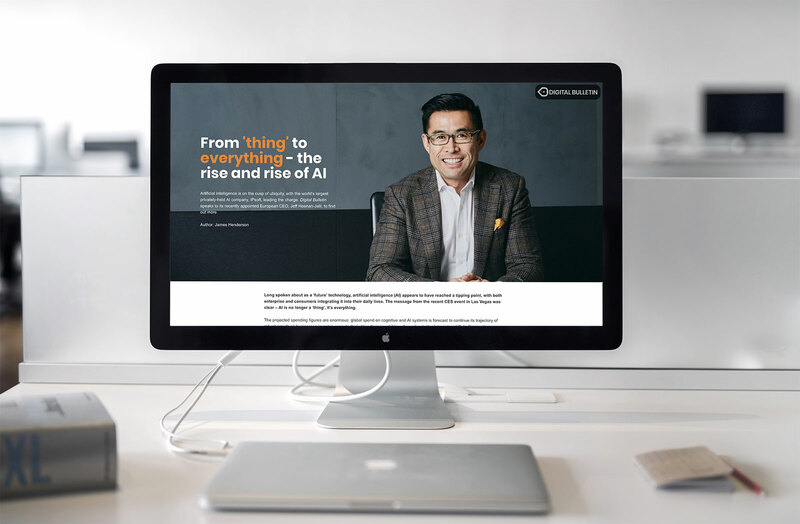 We interviewed Romily Broad, co-founder and CEO at Digital Bulletin, to hear how his team has integrated the Foleon API and how the platform helps them to offer premium multi-channel content. It’s easy to get swallowed by data or metrics to measure success, but Foleon elevated our content beyond offering good metrics — it offered an experience. I’m the co-founder and CEO of Digital Bulletin. We deliver a wide range of cutting-edge, high-production-value content across multiple platforms such as digital and print magazines, video and podcast series, newsletters, and social media. Digital Bulletin focuses on a variety of tech and business stories. What challenges were you facing prior to signing up for Foleon? We knew that we would be creating a variety of media products. Good stories are based on getting to the heart of an in-depth interview and then presenting it better than anyone else. An eye-catching way of presenting our content on the web was really important. We do use flipbooks and print publications, which are ideal for B2B businesses in certain contexts (e.g. as PDFs to share, or at live events). The downside of that format is they don’t work well on smaller screens like smartphones. You can’t embed video and audio very well, and the content isn’t fully measurable. So we needed an additional tool that would encompass a variety of use cases for our audience. The challenge for us was finding a solution that enables us to offer premium content that is responsive, measurable, and can embed video and audio. Additionally, we needed it to integrate with the CMS that we built. Why was it necessary for you to integrate your CMS with Foleon? Holding a magazine in your hands is a more premium, intimate experience. We wanted to get as close to that experience on the web as we could, so needed something that would help us create something that was different from a basic WordPress site, for example. It had to be exclusive and unique. We came across Foleon and knew it could help us deliver premium content to our users in a great way. But, importantly, Foleon’s API enabled us to do that at scale efficiently. We make a lot of content! The API, and excellent support from the Foleon team, helps us manage that. Why did you choose Foleon among other vendors? We looked into other vendors such as Shorthand who service large publishers, but we realized that Foleon offered more features at less than half the price. Liaising with other vendors was a big challenge, whereas Foleon directly connected us with their CTO to address our needs for the API integration. We not only received the service provided but also worked closely with the Foleon team to make the integration possible. What do you consider the advantages of using Foleon over your flipbook formats? Foleon publications get higher engagement than flipbooks. With flipbooks, we noticed that we were starting with a lot of readers but ending with few. Most people would start reading, but won’t read until the end. Foleon lets us cross-link with other pages, which lead to people finishing the publication. Another benefit of integrating with the Foleon API is that we can compress publications into zip files, attach them to our emails, and automatically link them to our CMS. That’s great for us, but means we can offer this additional content to our clients as well, making it possible for them to embed into their own systems. Did you set measurable goals for considering a publication to be successful? It’s easy to get swallowed by data or metrics to measure success, but Foleon elevated our content beyond just that — it offered an experience. We were able to capture people’s attention and engage them with premium content. Our audience is very narrowly defined and our relationship with them is quite intimate, so in that sense anecdotal or qualitative metrics are just as important to us, and on those terms Foleon is definitely doing well for us. We’ve created about 25 Foleon publications now, and we keep adding new ones. They’re an essential asset in our toolbox for developing new business. We share a short introductory video of us and one of the Foleon publications whenever we contact a prospective client. They look perfect on any screen and enable us to have more new business conversations. As the first to use the Foleon API, what was the process of implementing the API? How did it help your business? The integration process went very smoothly and didn’t take a lot of time. Even when we had a particular issue, the Foleon team always worked directly with our development team to make sure everything was in place. The support was fantastic. It’s good to know that Foleon offers an API that is easy and cost effective to get the job done. Everyone should know that the API allows you to create content with Foleon and let it work together with your own tools. How have your customers reacted? We are very proactive in getting feedback from our clients and the response so far has been great. Whenever we publish our content, the people involved always share it with their own network. The feedback has validated the quality of content we are producing with Foleon. Foleon publications are very engaging. We see the numbers live when we track engagement after sharing the content in LinkedIn groups. If you’re in marketing, you probably know that it’s really hard to measure ROI. 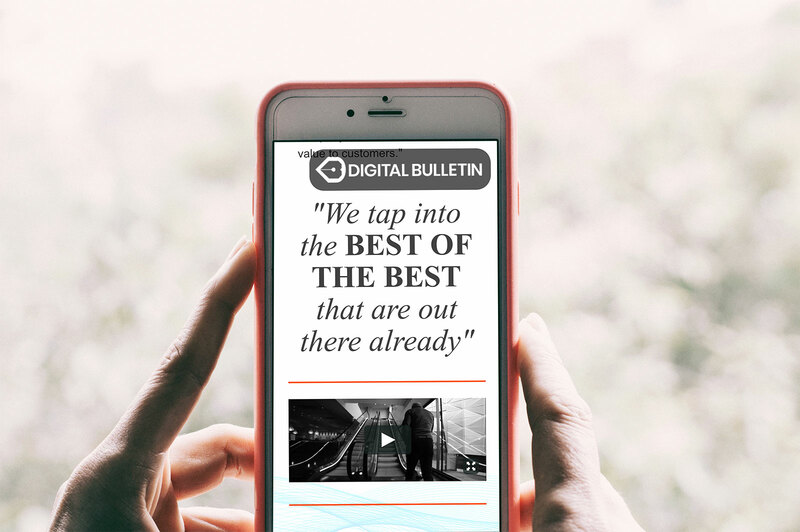 Digital Bulletin helps marketers that have an important message to deliver, and we do that with Foleon by delivering that message in a fantastically engaging way. Do you have any tips for other Foleon users? Spend as much time as you can playing around with the tool. The platform offers so many useful features. Every time I create something new, I give myself some time to test different features. It’s easy to forget trying out different things on the platform, but it’s good to allocate time to explore all the features and possibilities on the tool before you start creating your publication. Curious to see what Foleon can do for you? Get in touch with one of our sales reps for a demo.